Despite its remote and seemingly rigorous environment, the Antarctic is the world's most important habitat for seals, currently supporting more seals than all other parts of the world combined. As various national Antarctic programmes were established to study these animals, the need to standardize techniques became apparent. 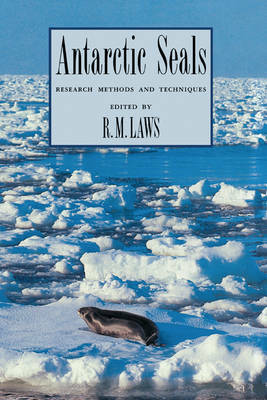 This book, arising from work by the Scientific Committee on Antarctic Research (Group of Specialists on Seals), gives a detailed account of well-tried and, where possible, agreed methodologies, techniques, procedures and rationale for the collection and initial analysis of data on the biology and population ecology of Antarctic seals. This volume will not only help facilitate comparisons between different regions of Antarctica, but will also provide a guide for those studying seals in other parts of the world and those carrying out research on other large mammal species.